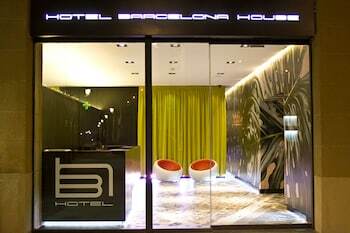 With a stay at Hotel Barcelona House, you'll be centrally located in Barcelona, within a 5-minute walk of Palau Guell and Gran Teatre del Liceu. Featured amenities include complimentary newspapers in the lobby, a 24-hour front desk, and multilingual staff. With a stay at Apartamentos Jamaica in Mercadal, you'll be a 3-minute walk from North Menorca Marine Reserve and within a 5-minute drive of Port Fornells. Free self parking is available onsite. With a stay at Mendarozabal - Basque Stay in Mendaro, you'll be 7.9 mi (12.8 km) from Saturraran Beach and 8.3 mi (13.3 km) from Arrigorri Beach.